The Constitution affords everyone the right to access sufficient water. The Water Services Act 108 of 1997 (WSA) sets the legislative framework to give effect to this right by regulating institutions that manage the access and delivery of water services. These institutions include (i) water services authorities, or municipalities, (ii) water services providers, (iii) water services intermediaries, (iv) water boards, and (v) water services committees. The Act also recognises that cooperative governance is vital in any efforts to provide water supply and sanitation services. Therefore, national and provincial government also form part of the overall institutional structure of the water services landscape. Ensuring that every person has access to water services is local government’s responsibility, but national and provincial government have an important monitoring and oversight role to play – ensuring that municipalities execute their water services functions effectively. In its preamble, the WSA recognises the duty on all spheres of government to ensure that water supply and sanitation services are provided efficiently, equitably and sustainably and to strive to provide these services for subsistence and sustainable economic activity. A constitutional duty is placed on national and provincial government to support and strengthen, through legislative and other means, the capacity of municipalities to manage their affairs, exercise their powers and perform their functions. 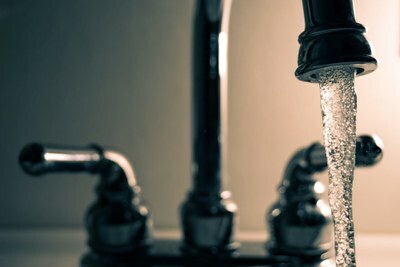 Where a municipality is unable to deliver water services, the province may assume the responsibility of ensuring water services are delivered to people in the area. The Minister and the relevant province is also expected to monitor the performance of municipalities to ensure compliance with prescribed national norms and standards and every applicable development plan, policy statement and business plan adopted in terms of the WSA. From an environmental perspective, an obligation is placed on provincial governments to ensure that municipalities exercise their functions in line with the national and provincial environmental implementation and management plans. Failure to adhere to these plans may lead to intervention in terms of the Constitution. Flowing from their constitutional duties, every municipality as defined by the WSA is obliged to progressively ensure efficient, affordable, economical and sustainable access to water supply and sanitation services. Not every municipality is defined as a water services authority for purposes of WSA. Of South Africa’s 278 municipalities, only 169 are water services authorities. Given that the type, size and capacity of municipalities differ across the country, the means by which they ensure that these services are delivered will vary. Municipalities may themselves provide these water services, contract these services out to water services providers or enter into a joint venture with another water services institution to provide the services. If a municipality performs the functions of a water services provider itself, it must manage and account separately for those functions. It may also provide such services outside its area of jurisdiction if contracted to do so by another municipality. If, on the other hand, it contracts these services out to other providers, it must monitor their performance to ensure compliance. A municipality is obliged to develop a water services development plan for its area of jurisdiction. The plan, which needs to feed into the Municipality’s integrated development planning process as a whole, details its strategy for providing access to water services at a local level. As stated earlier, a municipality may contract with a public or private water services provider to supply water and sanitation services. The regulatory framework provides for a range of institutional arrangements to ensure provision of water services, each with its own set of benefits and restrictions. Arrangements may include providers in the form of the municipality itself, another municipality, a municipal utility, a multi-jurisdictional utility, a water board, a community-based organisation, a private company, and a venture owned jointly by a municipality and national government. When externally contracting out, municipalities may only enter into an agreement with a private sector provider after it has considered all known public sector providers who are willing and able to perform the functions. The Minister has published regulations setting out compulsory contractual provisions to be included when contracting with a water services provider, including the scope of the water services to be provided, performance targets and indicators, and the obligations placed on municipalities that are necessary to achieve the targets. Where the contract places an obligation on the provider to supply services directly to the consumer, the provider must prepare and publish a consumer charter that establishes a system for dealing with consumer complaints and sets out the consumer’s right to redress. Consumers in the area must be given an opportunity to participate in developing the charter. A water services intermediary is any person or organisation who is obliged to provide water services to another in terms of a contract where the obligation to provide water services is incidental to the main object of the contract. If the main purpose of the contract is to provide water services, the person is classified as a water services provider, not an intermediary. For example, farmers that are responsible for providing housing and related services to their employees living on the premises are considered intermediaries when they are contractually obliged to provide basic water services to their employees. This is also true for mining companies who provide water to their employees living in mining hostels and houses. While the obligation placed on an intermediary is incidental and flows from a contract, it must still ensure the quality, quantity and sustainability of water services meets the minimum standards prescribed by the Minister and the municipality, and it may not charge tariffs that do not comply with the prescribed norms and standards. Municipalities may require that intermediaries are registered with them but, even if registration is not a requirement, municipalities must monitor them to ensure compliance with their duties and functions. Water boards are organs of state established by the Minister, which provide, as their primary activity, bulk water services to other water services institutions within a specific area. While it may carry out other activities, a water board must ensure that these secondary activities do not interfere with its primary function of providing water services. All its activities must be laid out in a contractual agreement. When a water services institution requests the services of a water board, it may not refuse the request unless it would not be viable, for technical and financial reasons, to provide the water services. South Africa currently has nine water boards, with Rand Water in Gauteng, Umgeni Water in KwaZulu Natal and Overberg Water in the Western Cape being the largest three water boards in the country. The NWRS II proposed the consolidation of the 12 pre-existing water boards into nine regional water utilities (RWU) to “strengthen the development, financing, management, operation and maintenance of regional bulk water and wastewater infrastructure.” These RWUs were also proposed to deliver some local government services on an agency basis where municipalities lack the capacity to do so effectively. It envisioned that the RWUs would be fully functional by 2015. According to the Minister at the time, the purpose of creating RWUs was to build fewer, stronger boards that manage a larger geographic area and link rural and urban areas in a manner that would improve service delivery and cross-subsidisation. While there has been little movement on the RWU proposals, there are discussions on the possibility and feasibility of establishing regional institutions that assume water services responsibilities where municipalities are not able to provide these services. South Africa currently has nine existing water boards in total. The WSA empowers the Minister to establish water services committees to provide water supply and sanitation services to consumers within a specific area. The Minister must consult with the inhabitants of the proposed service area, the municipality, the Minister for Provincial Affairs and Constitutional Development and the relevant province. A committee comprises a chairperson, deputy chairperson and additional members, appointed by the Minister. Once constituted, the committee must develop a constitution that provides for its daily functioning. While Committees of this nature are scarce, to the point of virtual non-existence, communities may increasingly turn to this mechanism given the inability of municipalities to provide services despite community members paying their tariffs. Municipalities, as the authorities responsible for ensuring access to and delivery of water supply and sanitation services, are authorised by the WSA to choose the appropriate institutional arrangement for providing these services. The process for determining a provider of municipal services may be a rigorous one, but it is important to ensure that providers have the capacity and are well suited to deliver these services. Once a municipality has selected a preferred institutional arrangement, municipalities, water service providers and water boards must work together in a coordinated way to ensure everyone has access to water services. This entails adequate and coordinated planning, sufficient financial resources, and coordinating tariff structures that are affordable and sustainable. The financial capabilities of these institutions, however, pose problems to effective service delivery – which impacts on all other areas of managing water services. Managing water services is a complex process that involves different institutions working together in a coordinated way. If one institution is not functioning optimally it adversely affects the chain of service delivery, implicating constitutional rights in the process. Section 154(1) of the Constitution. In terms of section 139 of the Constitution. Section 62 of the WSA. Section 16(4) of the National Environmental Management Act 107 of 1998. Section 11(1) of the WSA. Section 19 of the WSA. Section 20(1) of the WSA. Section 27 of the WSA. See WRC Report No. 1812/1/10, Situational Analysis of Water Services Provision in South Africa – Establishing Future Strategies for Consideration by Municipalities, March 2011 accessed at http://www.wrc.org.za/Knowledge%20Hub%20Documents/Research%20Reports/1812-1-11.pdf for a broad exposition of the institutional arrangements. Section 19(2) of the WSA. Government notice R980 in GG 23636 (19 July 2002), Water Services Provider Contract Regulations. Regulation 13 of the Water Services Provider Contract Regulations. Section 28(1)(a) of the WSA. Section 29 of the WSA. Section 32(a) of the WSA. Section 32(b) of the WSA. Other water boards include Amatola Water, Bloem Water, Lepelle Northern Water, Magalies Water, Mhlathuze Water and Sedibeng Water. Section 8.5.3 of the NWRS II. Section 51 of the WSA. Section 55(6) of the WSA. Section 78 of the Local Government: Municipal Systems Act 32 of 2000. See https://pmg.org.za/committee-meeting/22609/ for the financial constraints on and debts of municipalities and water boards.